Just a short walk from the castle in Edinburgh is a little cafe on a busy road which tourists from all over the world want to visit. It’s not the coffee, it’s not the ambiance nor is it the the service which has launched this little cafe from obscurity to fame but its notoriety as the birthplace of the Harry Potter stories. From the front of ‘The Elephant House’, this cafe does not seem like much with a few windows looking back out onto a bustling Edinburgh main road. What is not so obvious at first is that the entry off of George IV Bridge is actually the third floor. Go inside however and look out from the rear windows and it’s a different story. 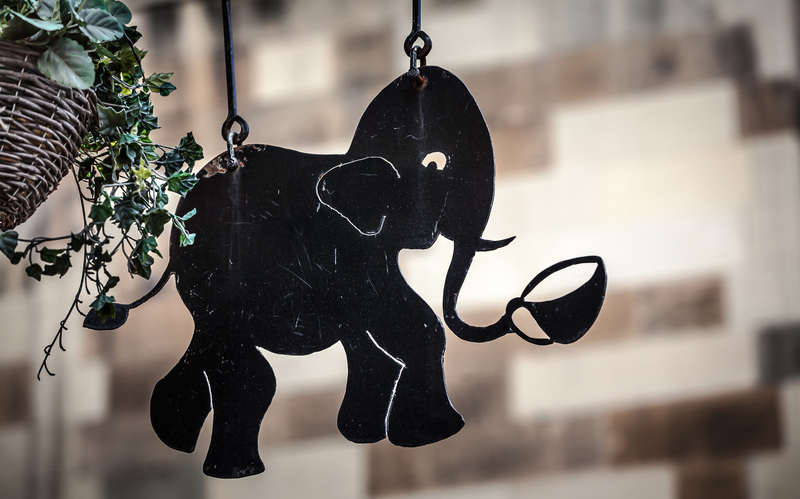 From its third story vantage the cafe has the most wonderful views across Candlemaker Row into Greyfriars Kirkyard and the old town of Edinburgh beyond. With such wonderful views like these it is not surprising how J.K. Rowling became inspired to write those first stories of Harry Potter and the rest is now history. So yes we found our elephant outside the room.